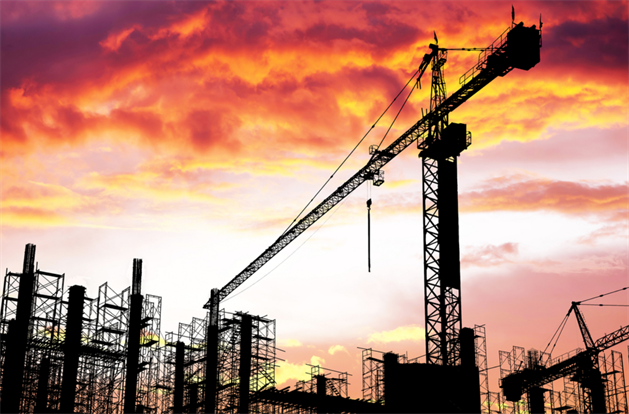 Are you ready for the infrastructure boom? Over the past century, we have had two different types of influencing booms, with the third one under way right now. The first major boom was industrialization just after the Great Depression. Before that time, manufacturing was concentrated around city centres, however, when the industrial age took hold in Australia, those industries moved to the fringes. That created a demographic change and, therefore, its own boom in real estate prices closer to the city which had suddenly became more desirable. The next influencing boom was due to the information age with technology enabling people to work remotely as well as for businesses to remain connected regardless of their locations. Today, many white-collar workers live in lifestyle or affordable areas, which has gentrified those locations as more services and retail precincts were established to cater for populations with greater surplus cashflow. If the information age didn’t happen, we would still have most people living close to the city, with richer people living on acreage on the outskirts. The latest influencing boom, which is happening as we speak, is infrastructure, because Australia is spending the most per capita of any developed country in the world on major projects. Most capital cities have 20-year major infrastructure plans, with most only in the first few years of their journeys to transformation. Across the country there are billions of dollars being spent on major infrastructure projects, with far too many to list here. Some of the most important projects, however, include Sydney’s second airport at Badgerys Creek, now called the Western Sydney Airport. The project is due to be completed by 2026, by which stage billions would have been spent on its construction as well as transport infrastructure and nearby housing development. Sydney has been in the midst of an infrastructure boom for a while already because of its growing population with the Greater Sydney Plan even set up to develop five distinct cities over the next 40 years. In fact, over the next four years alone, the New South Wales Government has committed $87.2 billion to infrastructure programs. In Western Australia, billions are being spent on infrastructure, including Perth’s Metronet rail project as well as commercial developments, however, the motivation is to create jobs and to stimulate its economy rather than manage growth like Sydney. The Queensland Government has committed $45 billion over the next four years, with its major infrastructure programs in the early stages after years of not having the funds to do much at all. Some of the projects, such as the Cross River Rail, Queen’s Wharf, Howard Smith Wharves, and the second airport runway will fundamentally change Brisbane forever. The new rail network in particular is a game-changer for the city, given the previous governments focused on building bus ways when it was rail that the Sunshine State capital really needed. Victoria is spending $38.4 billion over the next four years, with projects including the metro rail and tunnels, as well as the creation of a major employment hub in the Werribee region. Not to be left out, South Australia has a significant infrastructure program of its own, with Adelaide also recently announced as the home of Australia’s new space agency that will triple the nation’s space economy to $12 billion. Unlike some other nations around the world, which are struggling with falling populations, Australia’s trajectory is one of growth. In fact, Australia’s population increases by one person every one minute and 23 seconds. Even if the Federal Government tinkers with immigration, Australia’s population is on track to increase significantly over the years ahead. Projections are that we will have a population of 35 million within 30 years – that’s 10 million more people than live here today. Australia’s population is ageing so we do need more young people, which will likely mean that immigration won’t be reduced significantly anytime soon. What this means for property owners and investors is that, contrary to some of the alarmist commentary of late, there is nothing to fear and plenty to rejoice. Australia is on the cusp of dramatic change which will result in it becoming a truly global country where more people want to visit, invest and live. That is something that I personally can’t wait to witness.